Plenty of open space and huge grassy areas for your dog to enjoy. Cat Playtimes in our safe & secure outdoor Adventure Playground. Specialised Rabbit, Guinea Pig and Bird accommodation. We love to meet you and your dogs before they come to stay. We want dogs who come to stay to be happy & relaxed. What better way than to be friends first. Kybrooke Pet Resort & Pet Accommodation Melbourne is located in a relaxing, serene environment, giving you the peace of mind that comes from knowing that your dog or cat is housed in safe and secure lodging while you are away. You’ll have peace of mind knowing that while your loved one is staying with us, we will treat them with utmost love and care that only our staff can give. Our Boarding Kennels Melbourne offers the best in personal family care and attention that will keep your pets happy and healthy while you are away. 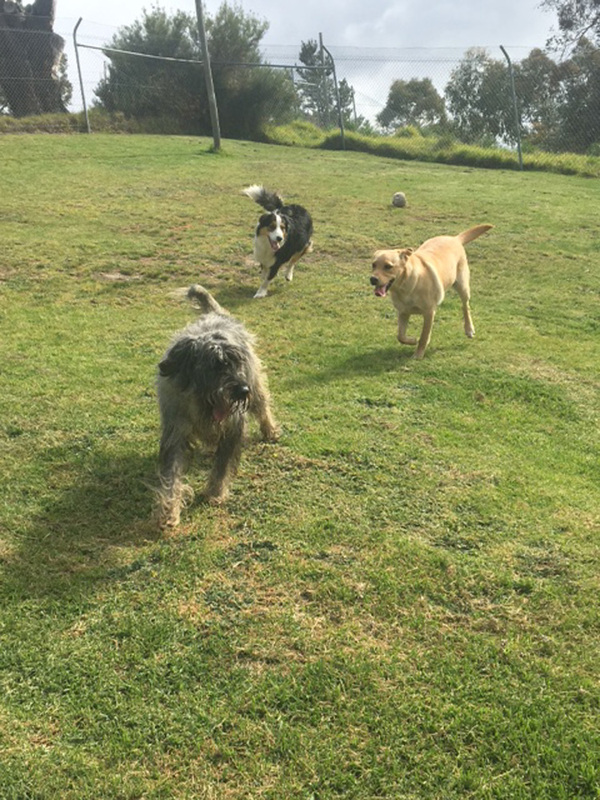 Our facilities are located on 15 acres of area with wonderful scenery of the bush and wide open spaces where dogs can run around and exercise while they stay with us. Fully renovated and new ‘Cat Motel’ accommodations with individual accommodation units. We have a loungeroom area and an outside adventure playground. We have a very successful Familiarisation Program which we run over a few days to a few weeks if you are concerned that your dog will not cope away from home. View the full range of prices and packages available for your pets next vacation. Check out our “Extra Personalised Activities” to make your pets stay a memorable one. At Kybrooke Dog Kennels Melbourne, all of your loved ones receive feedback about their stay with us. We feel it is important for pet owners like you to know the names of your pet’s friends, how they enjoyed their dinner and their stay with us in general during their mini-holiday at our facilities. About 80% of our new customers find out about us through customer referral. We have so many happy customers who are more than willing to recommend us to their friends. Give us a try and you will surely join our satisfied customers. We can honestly say, based on our customers’ feedback, that we have the best Dog Kennels & Cattery in Melbourne. Kybrooke Pet Resort is more than just a Dog Kennel.